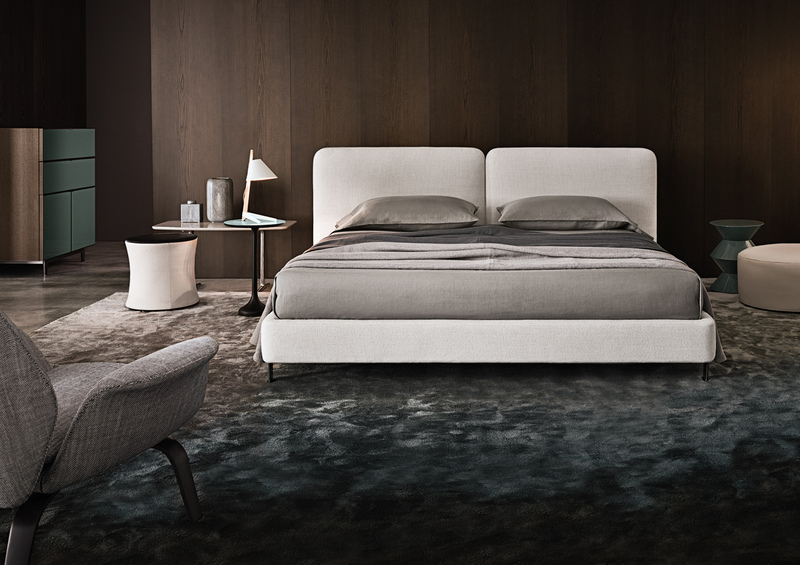 The Tatlin bed is all about the headboard, with details that call to mind refined luggage in the rounded corners, the stitching and the lush thickness. The Tatlin has an unusual split personality. 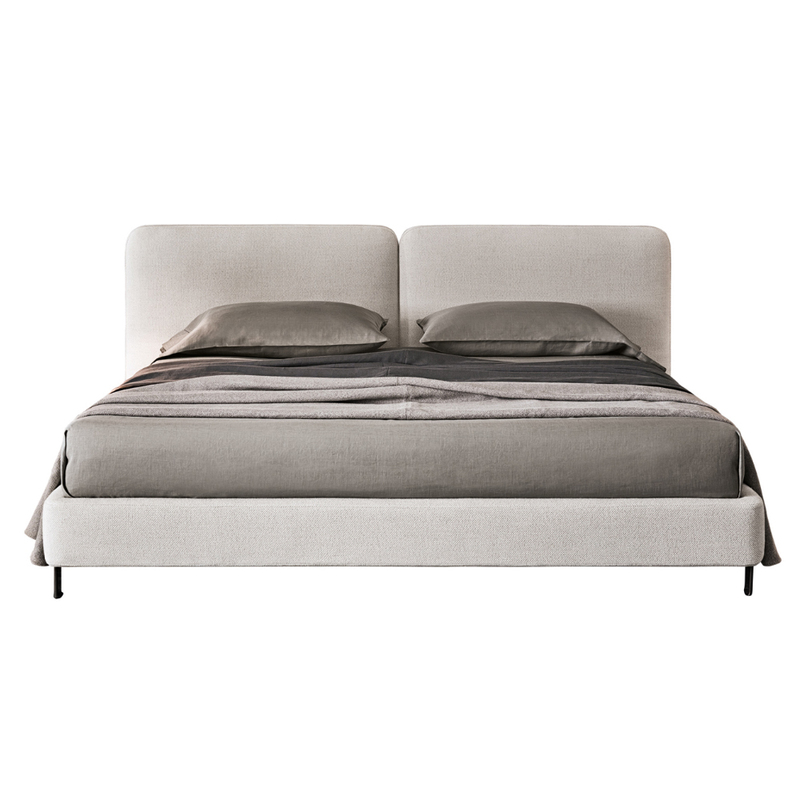 There’s the softer version, with accessory cushions upholstered in the same fabric as the bed sides. The other version features a more minimalist, uncompromising voice.